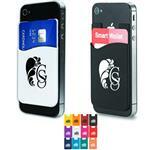 The silicone mobile device and smart phone pocket with your custom imprint. The silicone pocket with adhesive backing. 3M™ adhesive sticks to the back of your mobile phone. Pocket doubles as a wallet. Holds credit cards, driver's license, hotel room keys, stylus, coins or other small personal items. 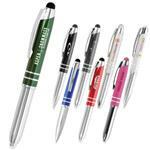 A great Trade Show Giveaway! FREE 3-DAY RUSH AVAILABLE! Production Times Available: 5 working days standard. FREE 3-DAY RUSH AVAILABLE! Shipping info: 1000 pieces per carton, 27.00 lbs per carton, carton size 10.00" x 12.00" x 10.00"